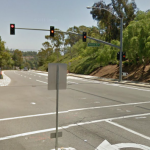 COSTA MESA (May 31, 2014) - Marcela Pacheco Garciaguirre was involved in a car accident on Saturday night that left her with fatal injuries. Garciaguirre’s car was broadsided by a pickup truck at around 10:00p.m. in Costa Mesa. Garciaguirre was exiting the northbound 405 freeway at the Harbor Boulevard off-ramp when her red Kia Optima was broadsided on the driver side by a grey Nissan pick-up truck. The Irvine resident was pronounced dead at the scene, she was 23 years old. Her unnamed male passenger was taken to a local hospital with non-life threatening injuries. According to police, the driver of the truck that struck Garciaguirre was identified as 22 year old Anaheim resident, Brandon Anthony Alvarez. 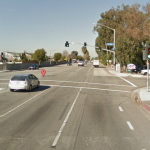 He had fled the scene of an earlier accident on Harbor Boulevard and Date Place when he struck Garciaguirre’s Optima as she was exiting the 405 freeway. He tried to flee the scene of the fatal accident but was caught and arrested by police. He is suspected of driving under the influence. The family of Marcela Garciaguirre will have the right to sue Brandon Alvarez for the wrongful death of the their loved one in this very tragic case. Our condolences go out to all that knew and loved her.